This gorgeously translucent lavender raw Fluorite specimen glows from within. 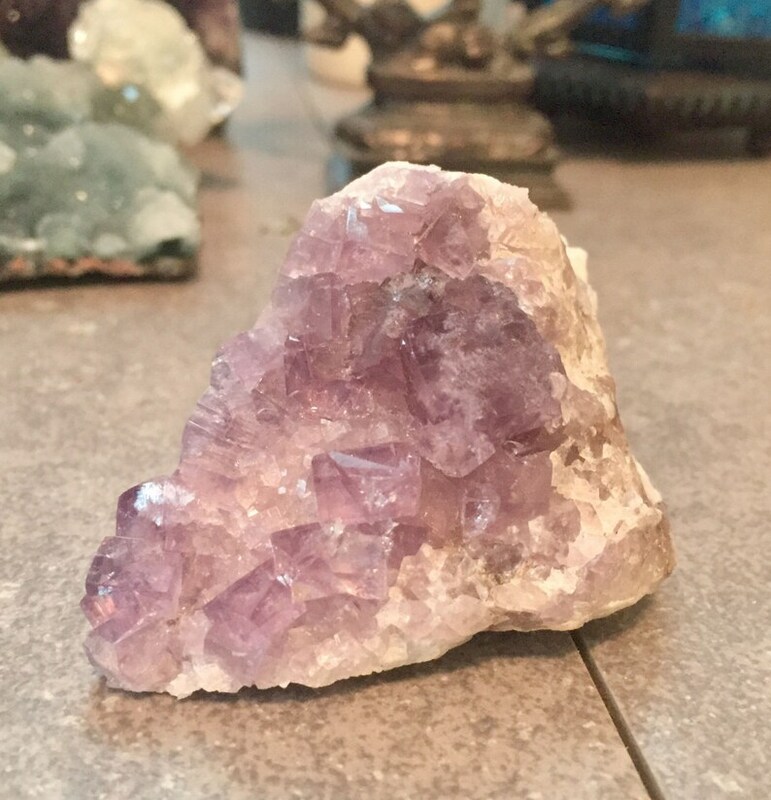 It has a vibrant light purple color with some white areas and great cubic structure. This guy actually fooled Mel she thought it was Amethyst because it sparkles so much. This price has amazing rainbows and flash. This specimen is approximately 2 inches by 2 inches and is about 1.5 inches wide. It is perfect to hold during meditation. This piece would also be great on an altar. The way this one glows in the light is so incredible.